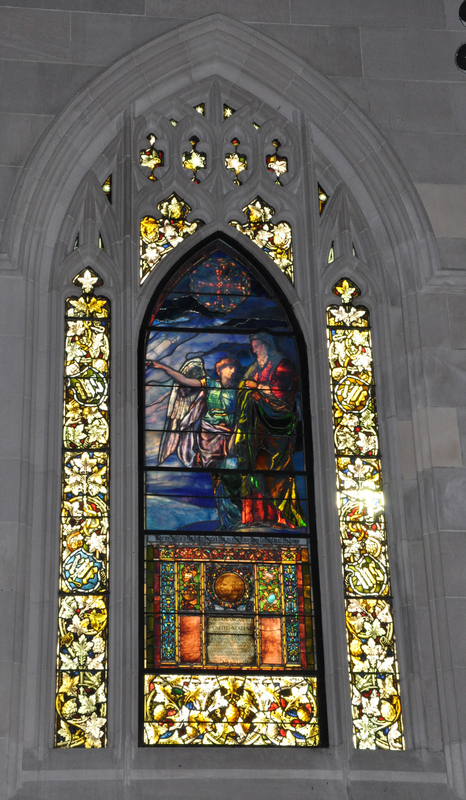 The James A. Garfield window, designed by artist and writer John LaFarge, has hung in Thompson Chapel since the building’s dedication in 1905. 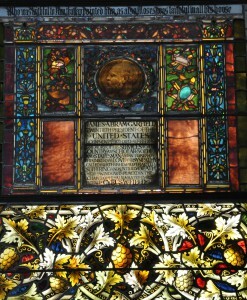 LaFarge was known for his vibrant use of color and is often credited as an inventor of opalescent glass. 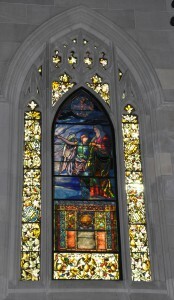 As the Williams College Museum of Art’s American art curator Kevin Murphy notes, the small window includes much of LaFarge’s innovations in stained glass, particularly the “graduations of jewel-like color and opalescent effects.” He adds that the warm glow of the window contrasts with the glass in Thompson Chapel’s other nave, transept, and choir windows, which largely feature cooler colors of more English-style glass. James A. Garfield, the 20th President of the United States, graduated from Williams College in 1856.